ALICE VOLUNTEER SERVICES, ALICE FOOD PANTRY, and TRASH & TREASURE are run efficiently by dedicated volunteers from various churches in Alice to provide food, clothing and other necessities to those in need. Thirty-five years ago in 1983 a group of concerned individuals created a place of temporary emergency assistance for those finding themselves on hard times. They soon realized that bringing sacks of groceries wasn't going to work in the long run. There needed to be a way to raise funds. Trash & Treasure, a re-sale shop, was established to supply funds to purchase food. Approximately 30% of the operational cost of AVS is supplied by funds raised by Trash & Treasure sales, with the remainder coming from donations and grants. Food pantries around the Coastal Bend are no longer "emergency" only pantries. We have been blessed to join in partnership with HEB & Walmart to form "Alice in Action". Our amazing crews arrive daily at HEB/Walmart in the wee hours of the morning to pick up meat, fresh produce and pastries which are then distributed to our clients. Assistance is offered every 90 days to those in lower socio-economic households. We have so many grandparents raising their grandchildren on limited incomes. The situation in Jim Wells County and the entire Coastal Bend is serious. All the pantries in the Coastal Bend were in "disaster" mode. In 2017 we served approximately 16,500 clients. We anticipate serving more in 2018. The Food Pantry in Alice is about " neighbors helping neighbors". 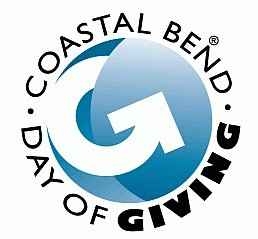 One Day of Giving is our largest fundraiser and we are blessed to be a recipient of your generosity. A waitress said she used to make $100 a day in tips, but now only $20-$25. Folks are trying to cut back on eating out. She said she couldn't make it without our help. A gentleman told about being part of the "oil field families" all his life. He remembered the BUST of 1983 as a child and is now experiencing the same. These folks never thought they would need help, but now they do. I'm thankful we are here to provide assistance and hopeful we can continue as long as needed. One of our newest volunteers has quite a story. He was in a coma for almost 3 years. Prior to the coma, he owned 3 business, wore nice clothes, drove the best cars, etc. When he "woke up" he had nothing. Doctors had told his wife he'd probably never wake up so she left, took everything and left him penniless. He was in rehab for a year after that. When he got to Alice he was led to Food Pantry for assistance. He could not talk at all but said everyone was very kind to him. After a year of being a client, he can now talk and has nothing but good to say about our Food Pantry and the wonderful volunteers. He is now a faithful volunteer. He says the Lord has blessed him greatly in his new life. He insists he's much happier now than when he was wealthy. Blessings all around.